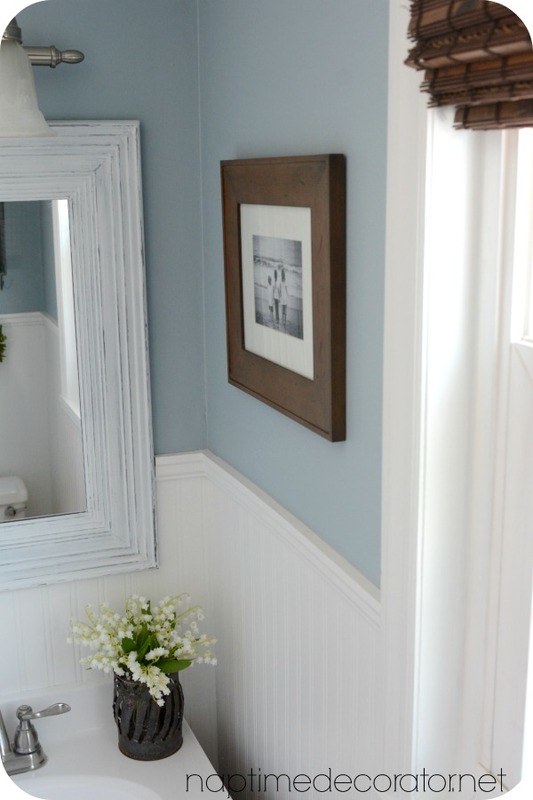 Budget Powder Room Makeover: Before and Afters! 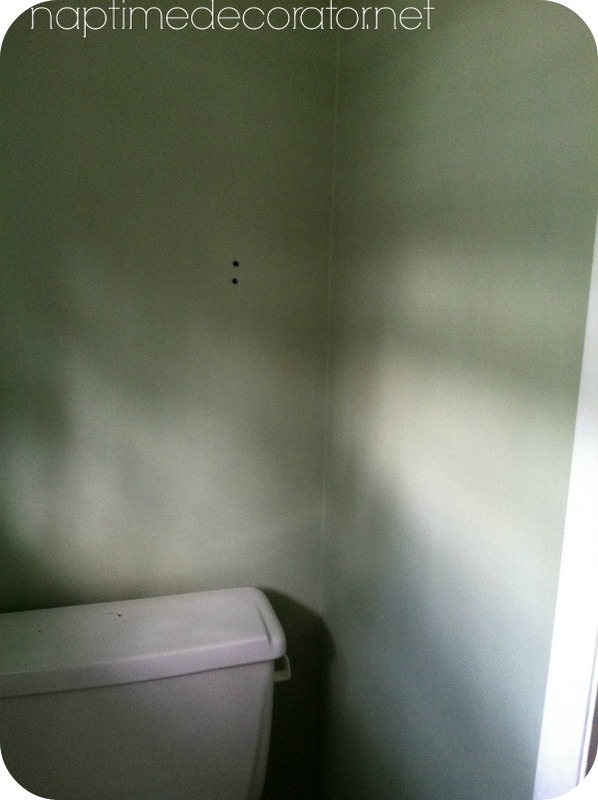 Last Fall – YES, FALL – on a whim, I decided to slap some primer on the walls of the powder room. For those who don’t use this term (which I’ve learned through Facebook, is quite a bit of you! 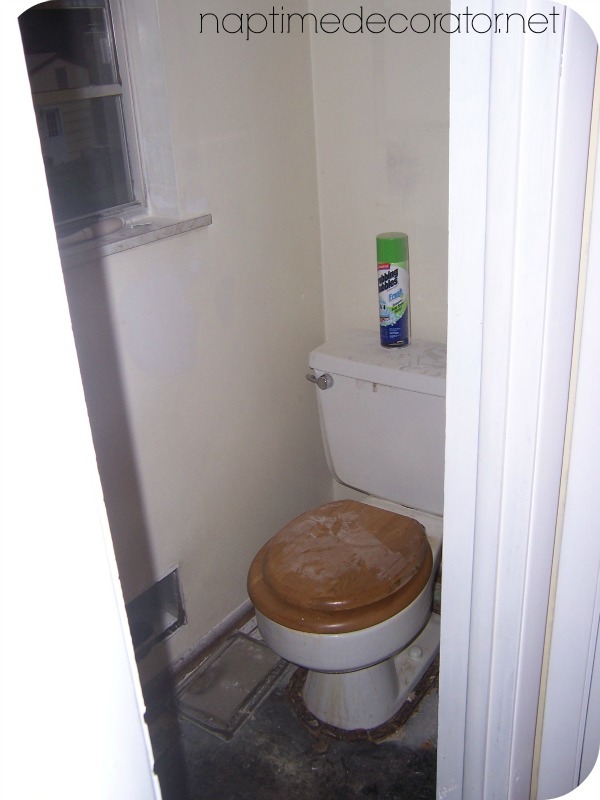 ), we’ve always called the first floor tiny bathroom, the powder room. It’s just a toilet and a sink, perhaps where women used to “powder their noses?” I’m totally guessing at that, but seems legit, right?! Who knows, maybe that really is the origin of the term…makes sense to me! Man I can go off on a tangent, can’t I? Let’s take a stroll through memory lane first, before I go ahead and show you what it looks like now. Yes, that would be a plastic white mirror. 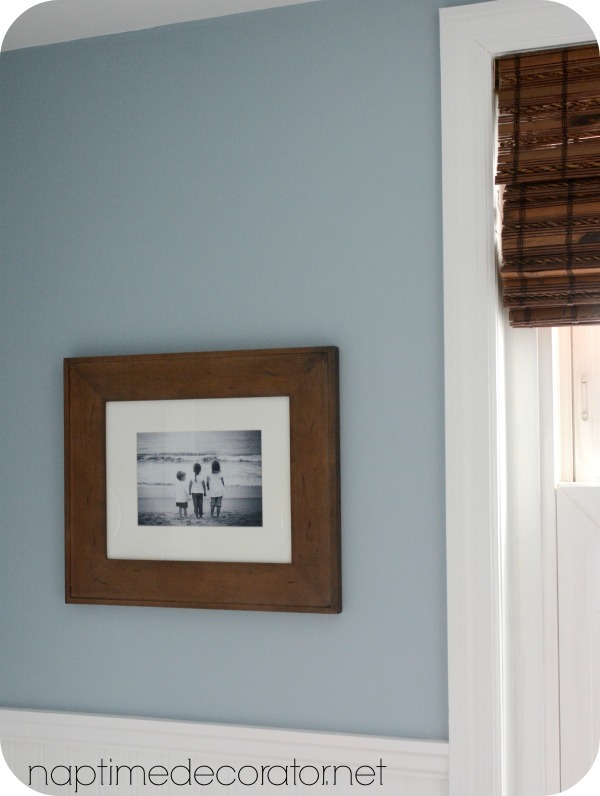 You have to love the 60s – skinny baseboards and zippy window trim. 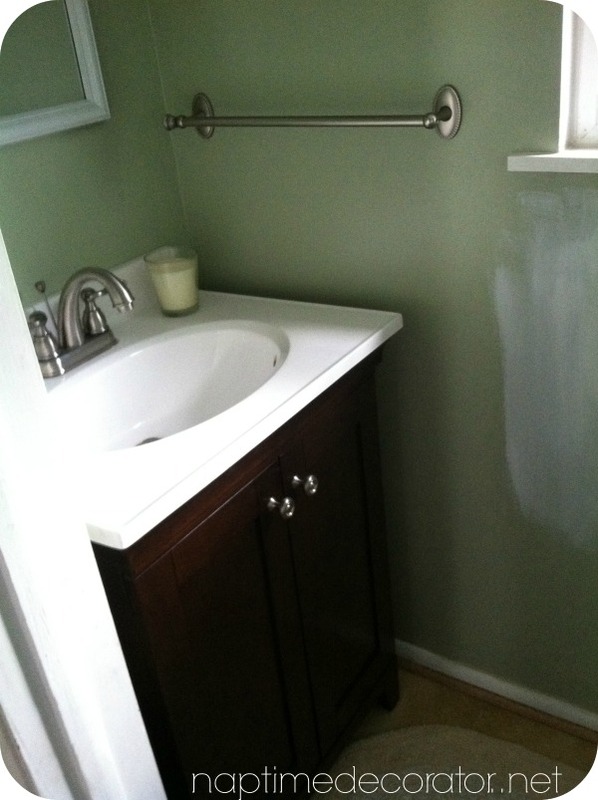 Paint and that sink vanity are the ONLY updates we made in the past 9 years. 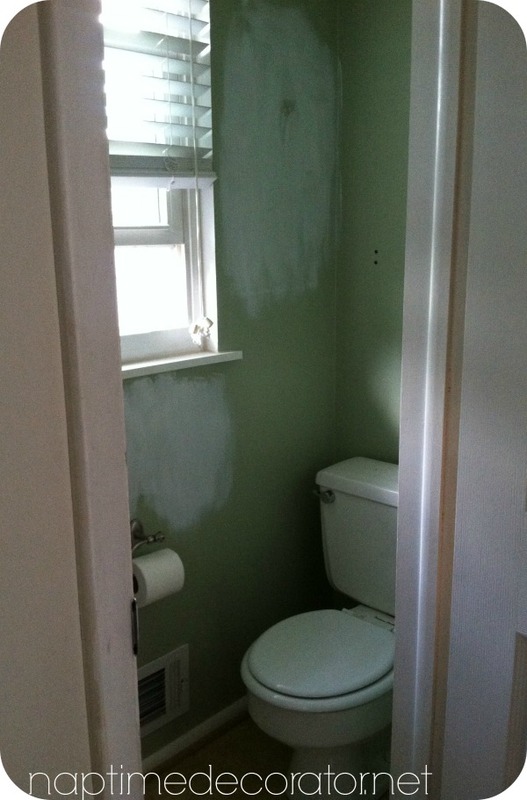 Oh, and we replaced that wooden toilet seat with a white one. We did also get new windows after we moved in. Most of them didn’t open, so that was one of the first things we had to do. So, as you can tell from these photos, it was time. Not only that, but everyone who enters our home pretty much uses this room. It’s a teeny tiny room, so it wouldn’t take a lot of money to fix up, AND it’s used constantly. No brainer, right? I had a vision, and knew I wanted to do blue. Never been a green person, and I never get sick of blue. The budget didn’t call for new floors, or new lights, or anything major. Basically, I needed to make this a beauty with a can of paint. Blue would work with the tan/goldish vinyl floors, and also look nice against the dark vanity. That was a start. I convinced my husband to swap out the skinny baseboards and trim out the window (one room closer to having those 1960s baseboards banished from this house! yippppeee!) and put up beadboard. Before I go any further, let’s dive into some pics, shall we? Now that you’ve seen a few photos, are you ready for the shock of all shocks?!! This is the second time I’ve worked with it, and I think it’s pure genius. I’m going to write a follow up post about the details – what I’ve learned when using it, tricks I’ve picked up, why I used it, etc. So stay tuned for that. To give you the short version now, it made sense – once we got down to it, the real thing would have been much more involved than we originally thought. Suddenly we were pulling out the sink vanity, and having to cut weird angles around the window and toilet…and my husband, while he’s pretty darn handy, he’s not quite to that point yet. Nor does he have the right tools for all that business. That, on top of busy weekends, this was turning into much more of an ordeal. Then the idea hit me – wallpaper would be something I could do during the week when the kids were at school, and I could cut around all the weird angles and spots with an exacto knife – this was a much cheaper and easier option – AND I had an unopened roll leftover from the last project I used it for! SCORE! I found this amazing shelf/cubby thing at HomeGoods – and I paid for it with a birthday gift card from my brother and sister-in-law (they know me well;). So that didn’t cost me a thing! I did pick up a couple things, like this heart boxwood wreath (40% off coupon at Michaels, helllooo $5 wreath! 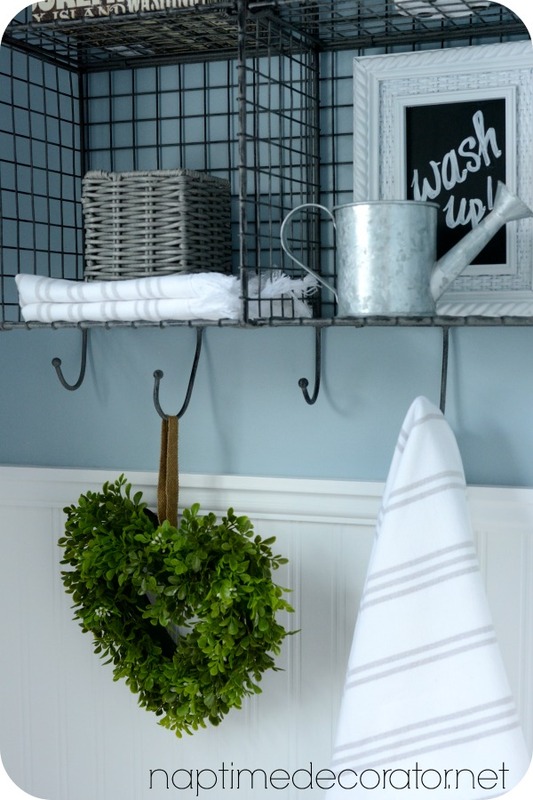 ), and some towels and washcloths from Marshalls. I used the mirror that was previously hung in the family room. The DIY Tree Art I made a month or so ago replaced it, so this was a perfect fit! 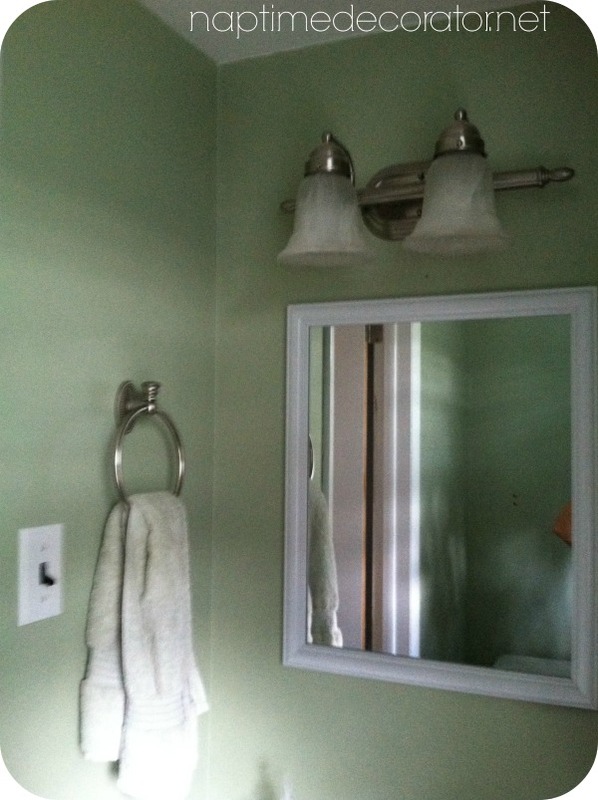 The soap dispenser is from Target – I loved the old school look of it! And the lily of the valley is sitting in – get this – an old tin can someone carved a pattern out of and I found at a yard sale for 25 cents!!! Isn’t it awesome?! I can hardly wait for my hydrangeas to bloom and stick them in there! Ah….Summer…it’s a lovely thought, isn’t it? I picked up the wood frame at Michaels (50% off frame sale – it cost me $15!) and put in one of my very favorite photos of my kids at the beach. I chose black and white and love the way it turned out! 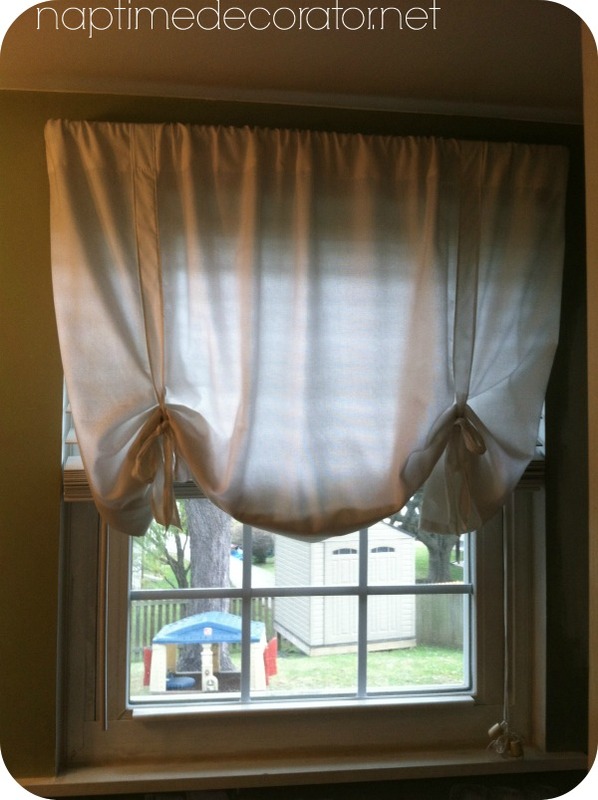 We trimmed out the windows, and when I went to order the same shades that I have throughout the entire first floor (from Lowes – a cocoa finish, and complement the vanity perfectly) – THEY WERE DISCONTINUED!!!! I called the company and asked the customer service rep if there was any store ANYWHERE that just had one left – I’m Chatty McChatterson – I’ll start talking about what I had for breakfast to a cashier – seriously – and when I told this lovely woman over the phone that I needed just one more shade to finish the floor, she said, “Hang on a minute, sweetheart, I’m going to go digging around for you.” She comes back on the line minutes later and says “Liz! 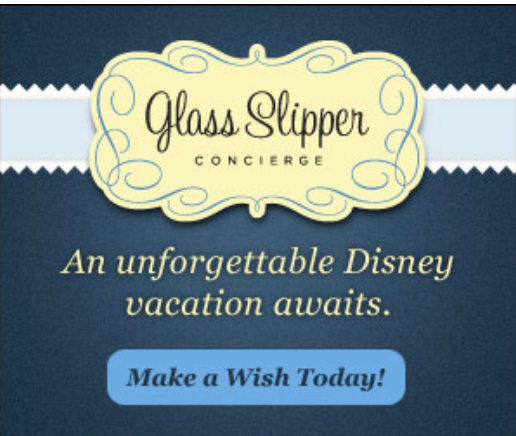 It’s your lucky day!” (Yes, we were on a first name basis by this point). There was one in Ohio and since it was discontinued, it was only going to cost me $5!!!!??? What the what?!! A couple days later, I had that $5 shade on my front step. God bless you, Lowes customer service rep Nancy. You’re the best! The lesson here, folks: sometimes it pays to be annoyingly chatty. Found the perfect rug at HomeGoods – perfect tiny size for the tiny floor. The paint color is Behr Prelude and I am in love with it. It’s really gorgeous. I used two samples, so I spent about $6 on paint. 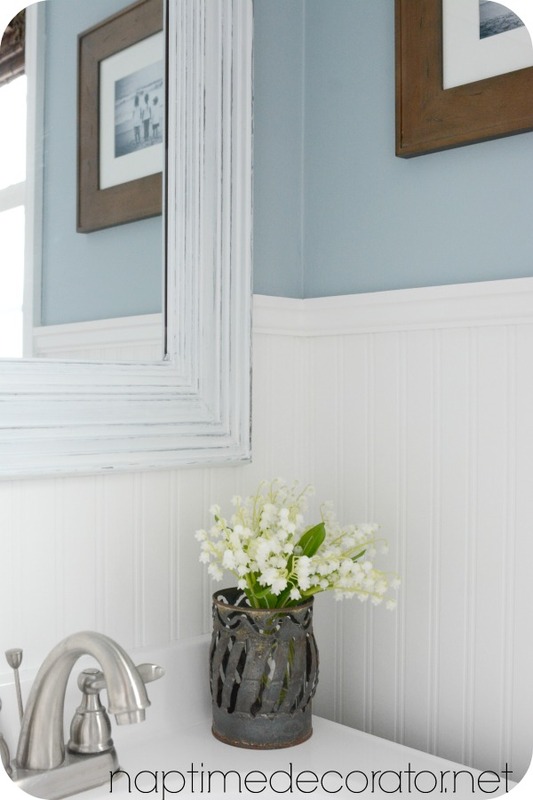 I used white semi-gloss on the beadboard – sorry, wallpaper – and I already had some on hand. 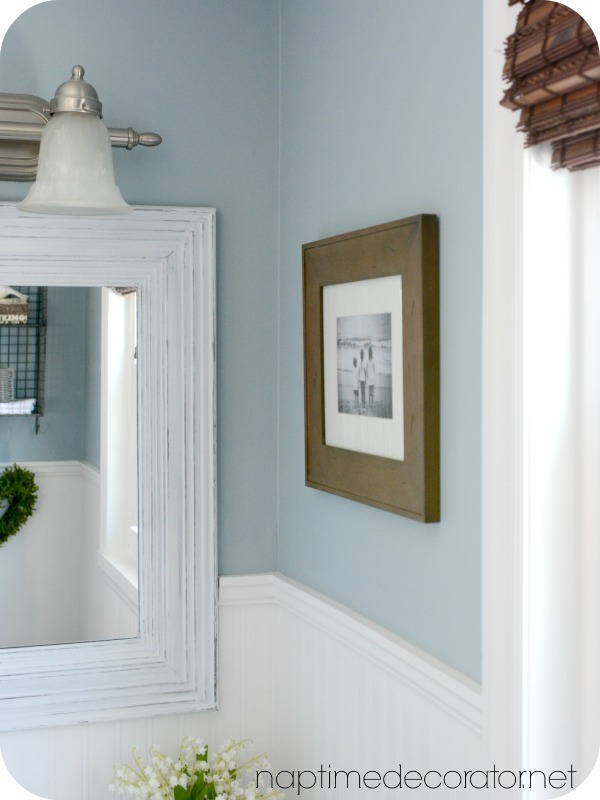 This really, truly was a budget makeover! 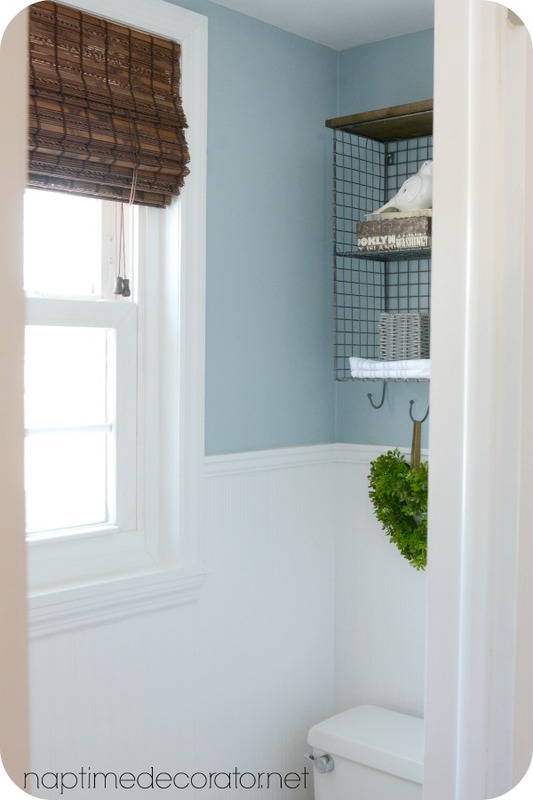 Next post will have all the trim and wallpaper deets in it, I promise. Just didn’t want to make this post even longer than it already is! 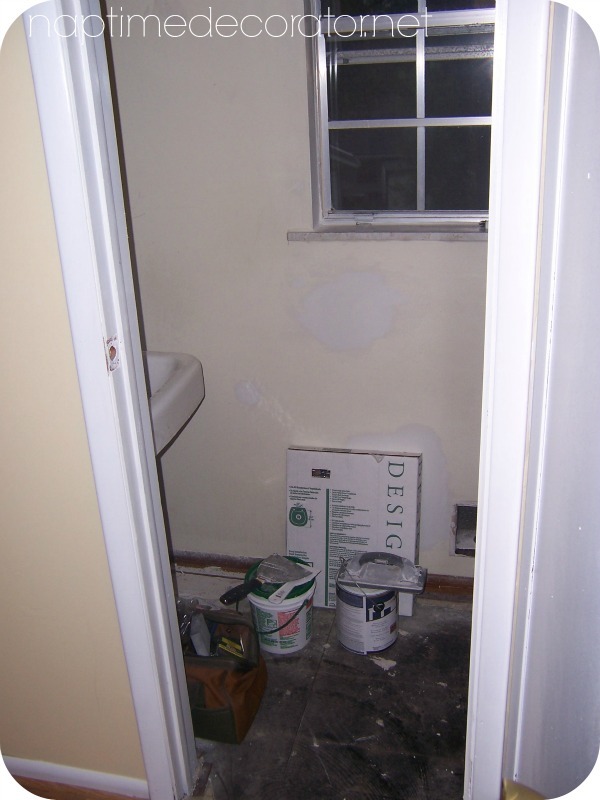 Let’s take one more look at the before and after…. Have a wonderful weekend, friends – and stay warm! Beautiful! I cant wait for your post on the wallpaper! 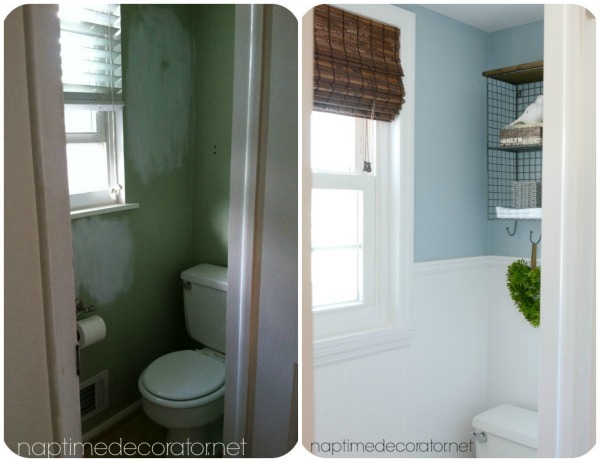 I may have to do that to my sage green powder room. LOVE It! 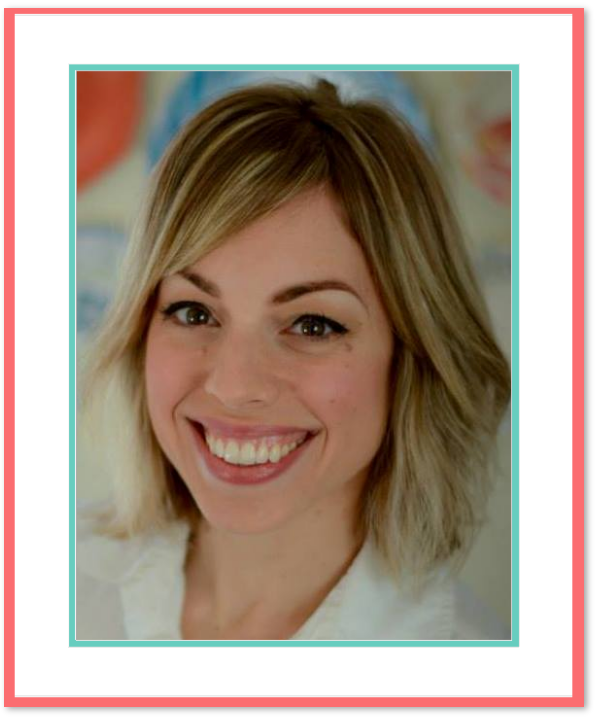 Yet another amazing transformation by Liz – you & your hubby need to start your own tv show – seriously! Great job. Where did you get the wallpaper? I cut mine – for that very reason;) Just cut them and tie knots again so the little pieces stay on. Liz, it’s gorgeous! One of my favorites, ever. You must be ecstatic!! Every project you do is magic. Absolutely gorgeous. Absolutely love it!! You truly brightened up that room! Eagerly awaiting your wallpaper post! 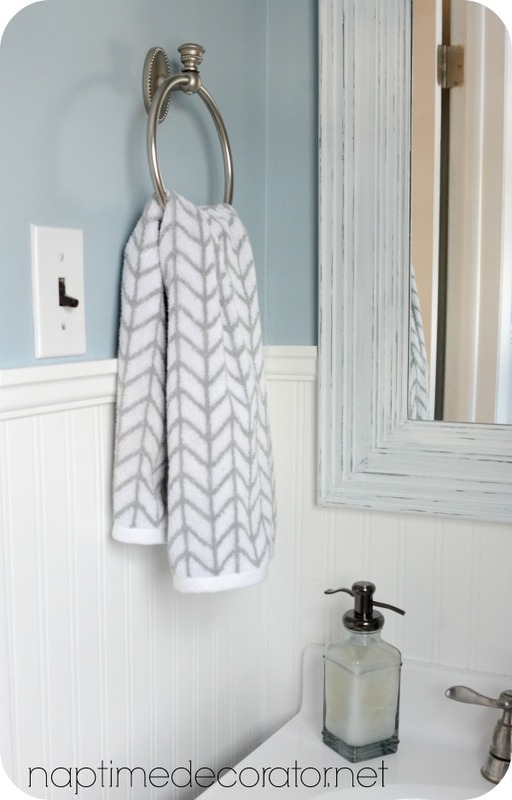 I’ve been wanting to do the exact same look to my bathroom for years, but have to experience with that wallpaper (and our budget didn’t allow for actual beadboard). wow, that wallpaper just is amazing !! 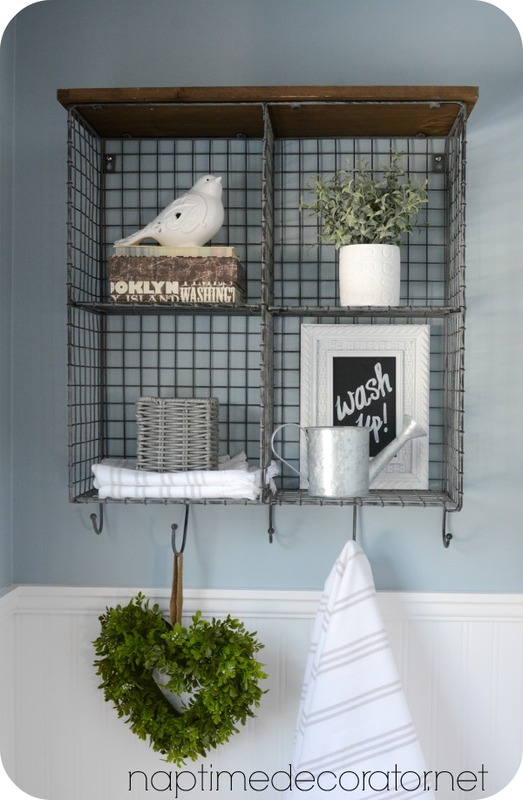 I’m inspired to do something with my bathroom! Hey stranger! Loving the powder room updates and the wonderful WALLPAPER accents 😉 It all looks fantastic!! Bravo!! Beautiful job! 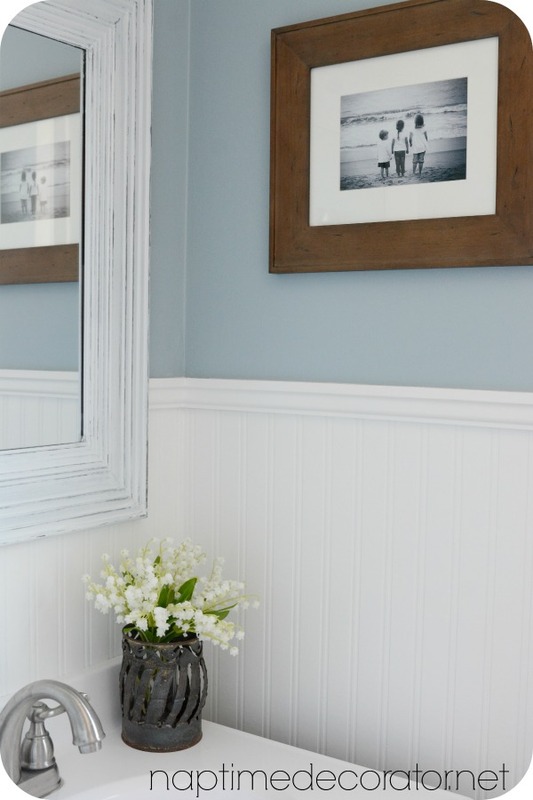 I love the beadboard wallpaper! Can you paint it? Is that wood trim at the top of the wallpaper? Now I want to work on my bathroom! Thanks, Kathy! 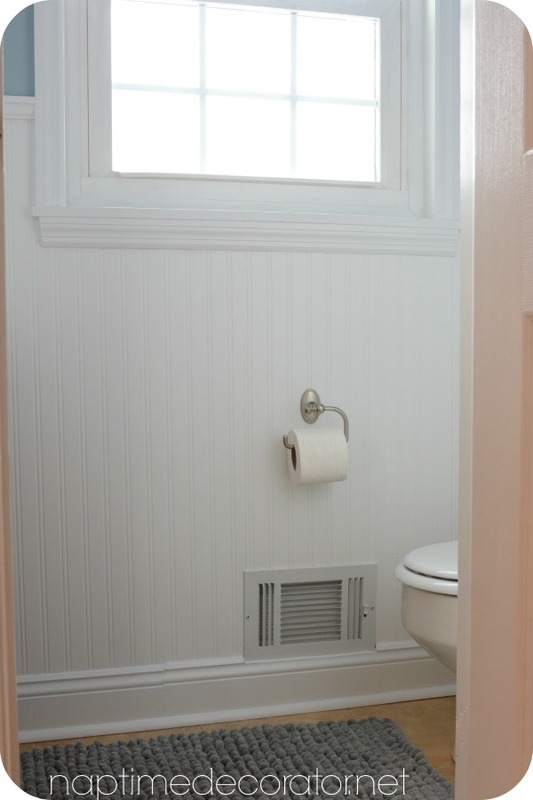 I’ll be writing a follow up post very soon on the beadboard wallpaper – yes, you paint it, and yep, that’s wood trim at the top. Thanks so much! You have inspired me! I ran across this on Pinterest, this morning, and immediately ran to Lowes, to get that wallpaper! I’m so nervous, never hung wallpaper before! Wish me luck!!! I just found your website and I love it! 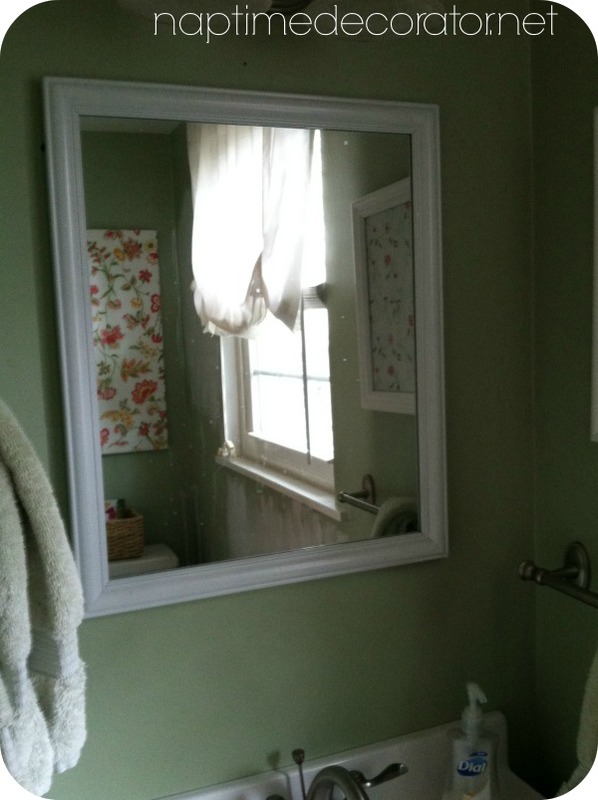 On your powder room, did you put the mirror over the chair rail or cut the chair rail at edges of mirror? 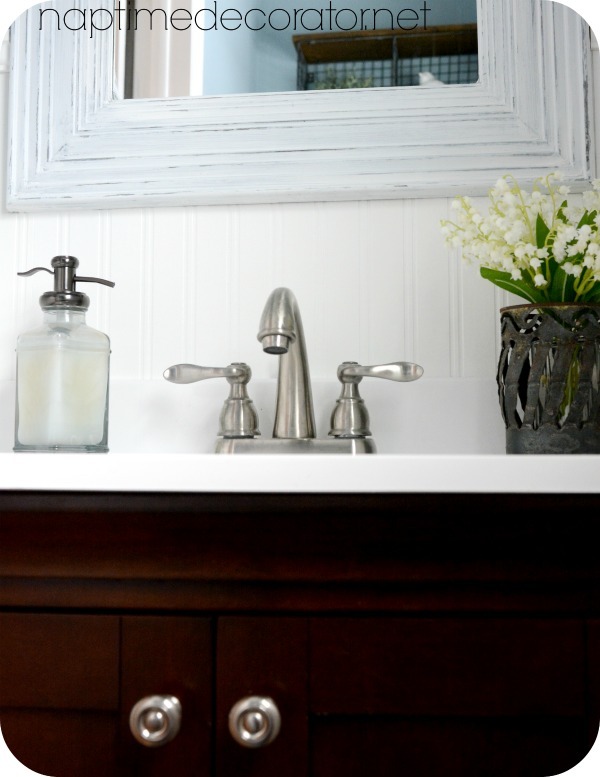 I am doing my powder room trying to get the same look. Thanks, Jan! We cut the chair rail at the edges of the mirror. Good luck! I love how you have re-done your bathrooms. 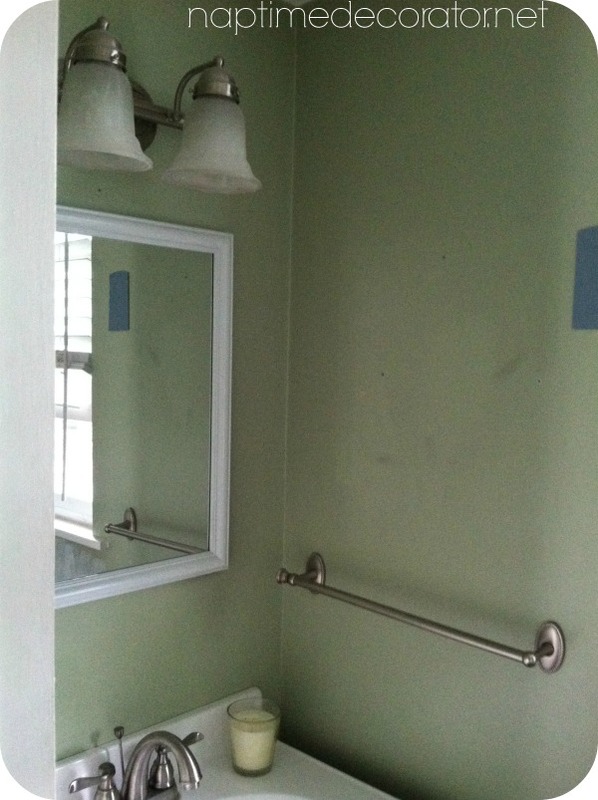 We are getting ready for a master bath makeover here. 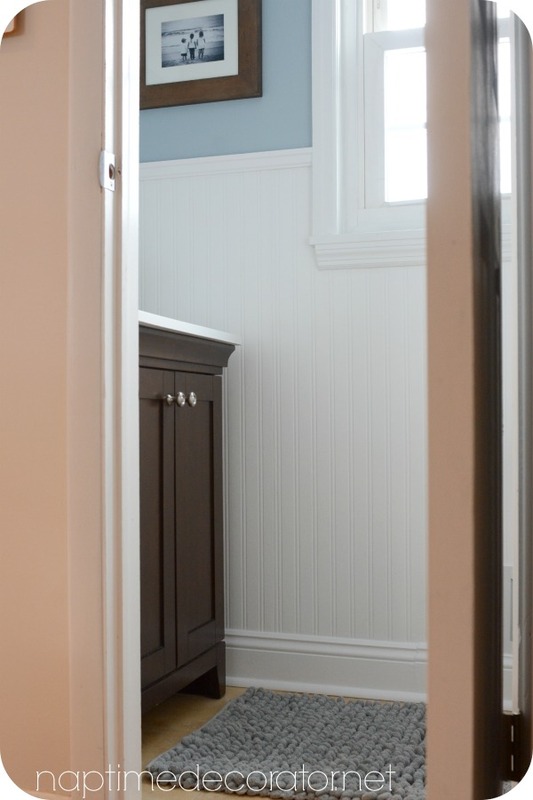 Did you install an adult height vanity (in your powder room) and tall toilet in your master? I just cannot decide! Worried it will make the room seem smaller.